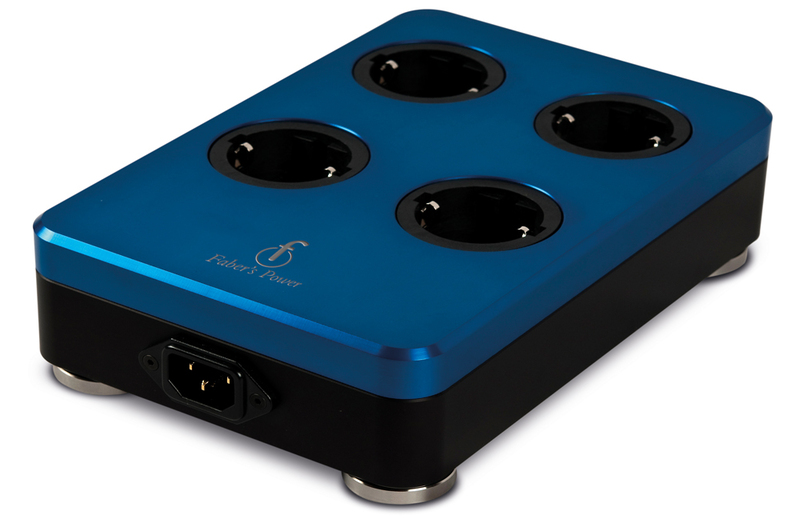 Faber's Power - La Potenza Four - Only the best materials, including 4 Oyaide schukos are used throughout to ensure the best conductivity. 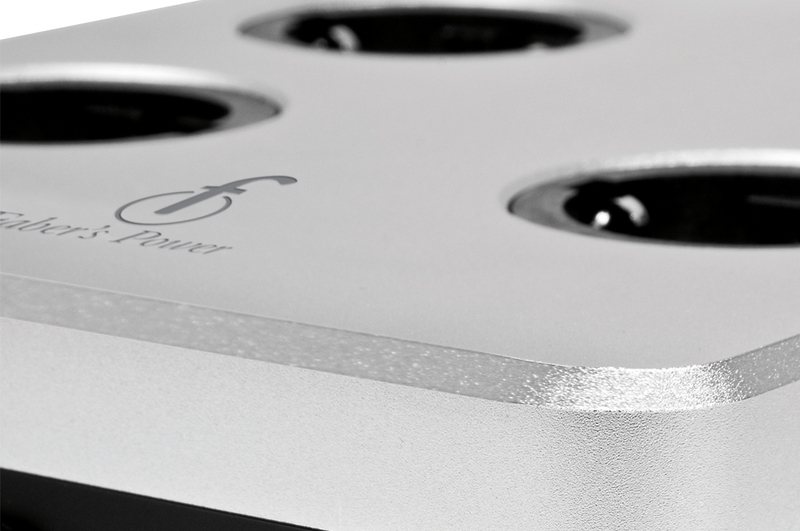 La Potenza – Four is also carved from the best alluminium alloy and then tweaked with even more sophisticated treatments that along with a redesigned earthing, allows that unit to reign supreme amongst the best active filters since the incoming mains signal gets the electronics it feeds as fast as pure as it is possible. Only the best materials, including 4 Oyaide schukos are used throughout to ensure the best conductivity.